The 16th edition of the LuganoTango Festival has again obtained, as a prestigious recognition, the patronage of the Argentine Republic, through its Ambassador in Bern, and the sponsorship of the City of Lugano, giving further prestige and importance to the event. 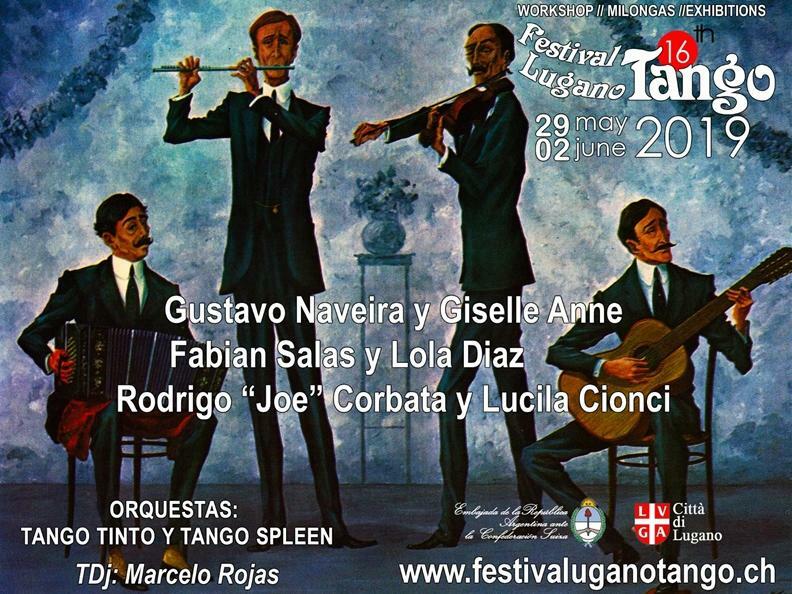 The Festival was born from the efforts of two Ticinese enthusiasts, who wanted at all costs that the Great Tango also passed from Ticino. This event has now become so famous that it is no longer necessary to contact the most famous artists (teachers, DJs and musicians), but they are the ones who ask to be invited. 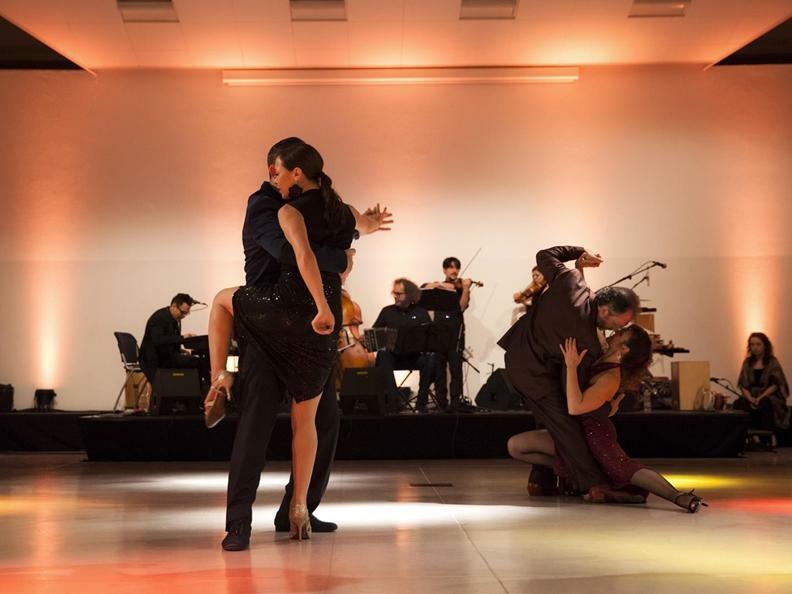 For the sixteenth year the name of the city of Lugano will be recognized and cited throughout the Tango world, and will be associated with world-class masters. In fact, the masters unanimously judged the best and the many fans who follow them, from Switzerland, from all over Europe, from Russia, Australia and the United States will invade several hotels in the Lugano area for a few days, and the Centroeventi di Cadempino. 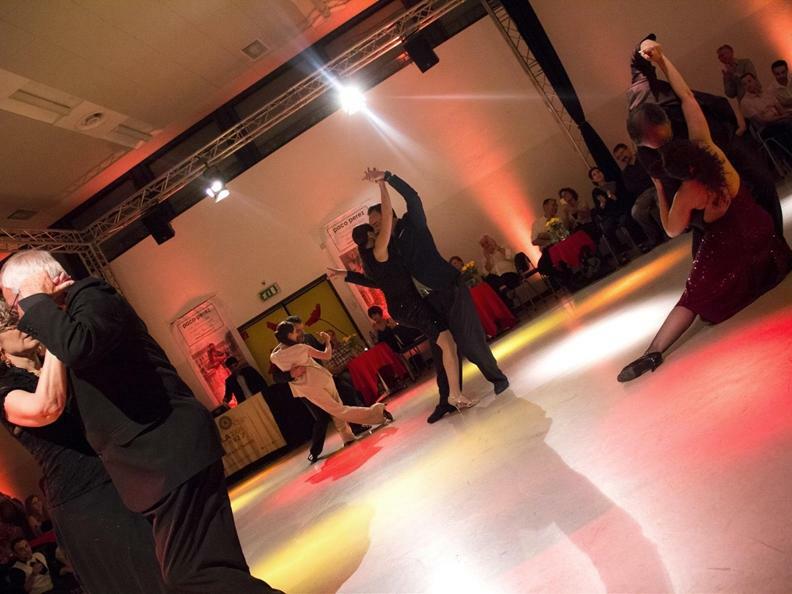 For the last five years, the event has been unique throughout the world, thanks to the possibility of seeing together two masters who have made tango what it is today: Gustavo Naveira and Fabian Salas. They have not met for over seventeen years and have agreed to resume contacts in Lugano, thanks to their friendship with the organizers. With hours of work in the local historian in Cochabamba 444 in the barrio de San Telmo in Buenos Aires, they recovered the steps of the great old men of the tango, studying why they performed them in a certain way and finding other possibilities and the right teaching to pass them on and so that they did not go lost. This meeting is always exciting and enriching for all the participants of the Festival. The important event is organized by the non-profit Association La Casa del Tango, Club of Cultura Argentina.